WARSAW — Crews responded to a rollover accident on Old 30 at CR 300E, Warsaw around 3:15 p.m. According to officers on the scene, the vehicle was traveling at a high rate of speed when the driver noticed that traffic was backed up. 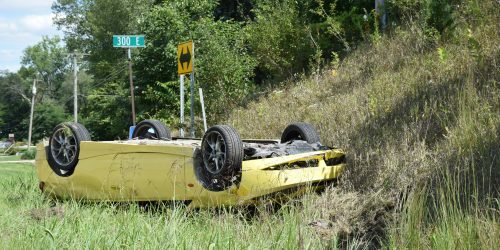 The driver avoided a collision by braking and swerving, causing the vehicle to rollover on the side of the road. No other vehicles were involved in the collision. The driver of the vehicle was transported to KCH by Lutheran EMS.